Expedia Mexico launched a survey to find the top 40 most welcoming cities in Mexico; the results also placed Punta Mita and Nuevo Vallarta among those chosen by 30 thousand travelers. 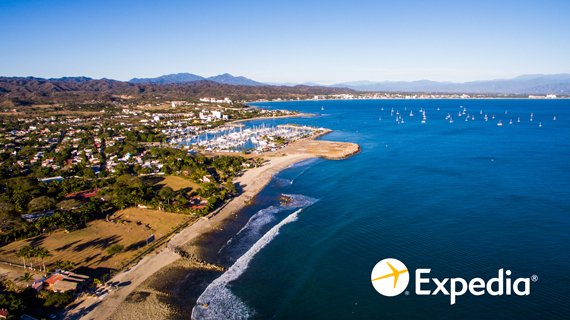 Expedia.mx, one of the largest online travel agencies in the world, used their verified rankings and user comments to select the 40 most welcoming cities in Mexico—and the Riviera Nayarit’s La Cruz de Huanacaxtle took first place. The top elements that came into play for the choice were hospitality, comfort and tranquility; Punta Mita came in at no. 8 and Nuevo Vallarta joined in at no. 38. The description of La Cruz reads as follows: “The first name on this exclusive list is this colorful fishing village located in the Riviera Nayarit. It has a small population, making it a tranquil destination; it has an excellent climate and beautiful beaches. Here you can experience the Arte Huichol gallery and the Museo del Tequila y Mariachi, or go out fishing. It offers different options for tourists.” The town took the spotlight with a score of 4.75 out of a maximum of 5. Over 30 thousand assessment questionnaires were analyzed to determine the most comfortable cities in all of Mexico. These legitimate surveys regarding hotel accommodations greatly influence travelers’ decisions when looking for a new place to visit. Their description of Punta Mita, which ranked in the top 10, read: “This paradise offers golden sands, warm waters and a delicious ambiance. You can dive beneath its clear waves to see reefs, coral and sea life such as turtles and lobsters. Fishing is another great reason to visit and so is the local archaeological finds, which speak of the dawn of civilization in this part of the country. Click here to learn more about the 40 most welcoming cities for travelers.